Uniquely located on the eastern shores of the Dead Sea in Jordan, the King Hussein Bin Talal Convention Centre is a stunning three-story venue that blends innovative technology with unique design. A convenient 65 km drive from Queen Alia International Airport, this versatile centre features 24,000 square meters of well-designed exhibition and event space, including 27 conference halls, lounges, foyers, and outdoor terraces, that can accommodate from 500 to 3,000 people. The Centre also features Wi-Fi access throughout the building, along with business-friendly amenities, built-in multimedia projectors and high-quality sound systems. The King Hussein Bin Talal Convention Centre offers 260 parking spaces within walking distance of the facility. Valet parking is also available upon request. What sort of business amenities does the Convention Centre offer? A fully-equipped modern business event facility, King Hussein Bin Talal Convention Center provides audio/visual equipment rentals, a business centre, business phone service, digital signage, laptops & PCs, meeting rooms, office rentals, secretarial services, video conferencing, and copying and printing services. 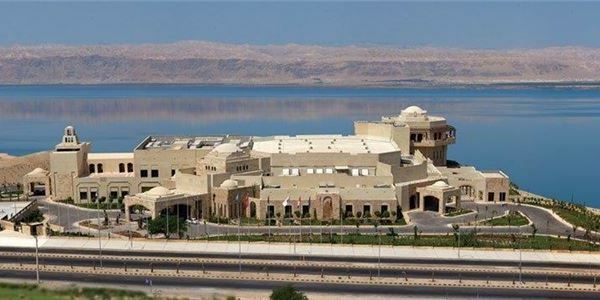 Why Stay at Ramada Resort by Wyndham Dead Sea?